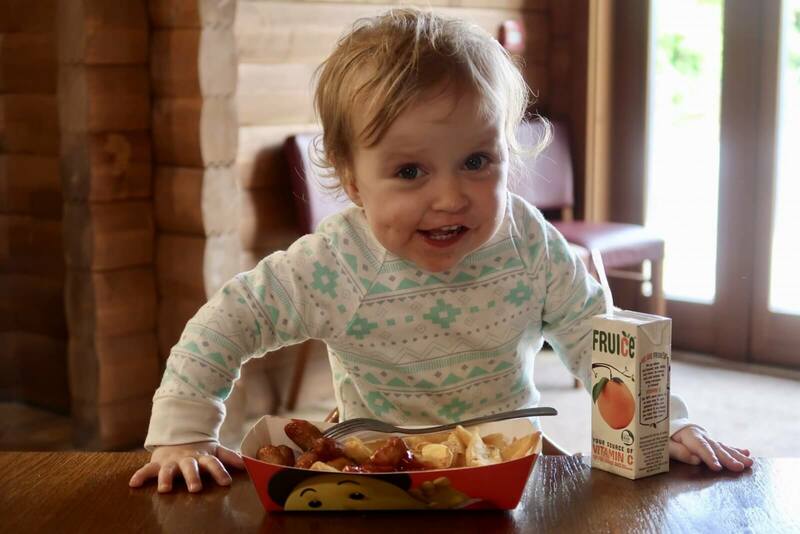 *We received complimentary entry to Tayto Park in exchange for this blog post. 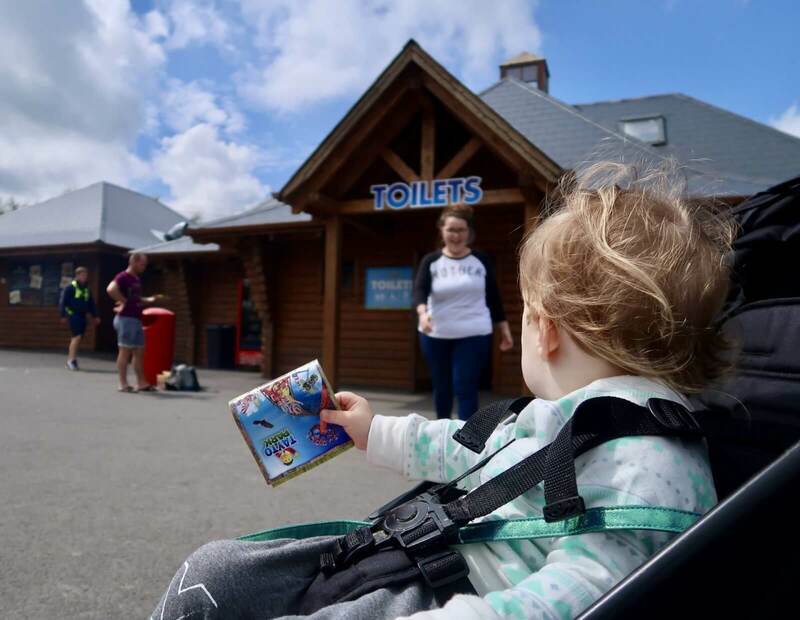 Recently we made the trip down south to Ashbourne, Co. Meath so we could visit Tayto Park a glorious fusion between zoo and theme park. There are over 100 different attractions and it really has something for the whole family. 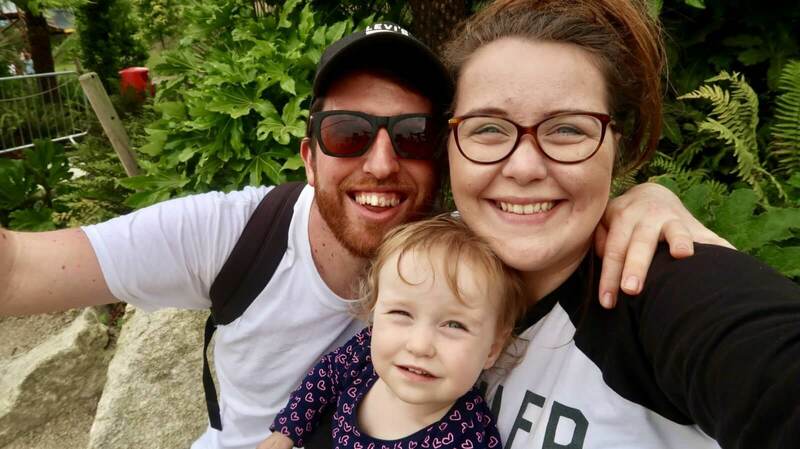 You can get to Tayto Park in just 90 minutes from Belfast so it’s definitely something to put on the summer bucket-list if you’re local to me! For those of you who aren’t lucky enough to be from the island of Ireland Tayto is actually a really popular brand of crisps, far superior to Walkers if you ask me! The story of its founder is amazing so if you fancy some extra reading here’s a piece on Mr Ray Cole. Anyway, back to Tayto Park before I make myself hungry talking about crisps. This is the second time I’ve been and it was still totally brilliant. The staff at Tayto Park are incredibly helpful and full of chat which really adds to the excitement of the whole experience. As Luisa is only two there were a few things she couldn’t join in with, like the big roller coasters, so we decided to start with the zoo so she could let loose. The whole range of animals is really impressive and you can often see the keepers interacting with them as well as attend bird of prey displays which are SO much fun. At Tayto Park, they’re really big on conservation and do a lot of research to make sure the animals have a great life. 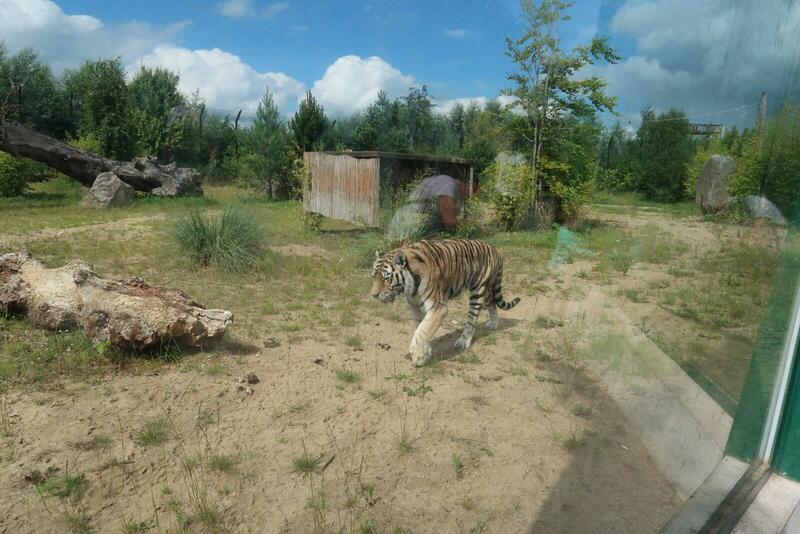 You can read about the work they do on little displays around the enclosures. 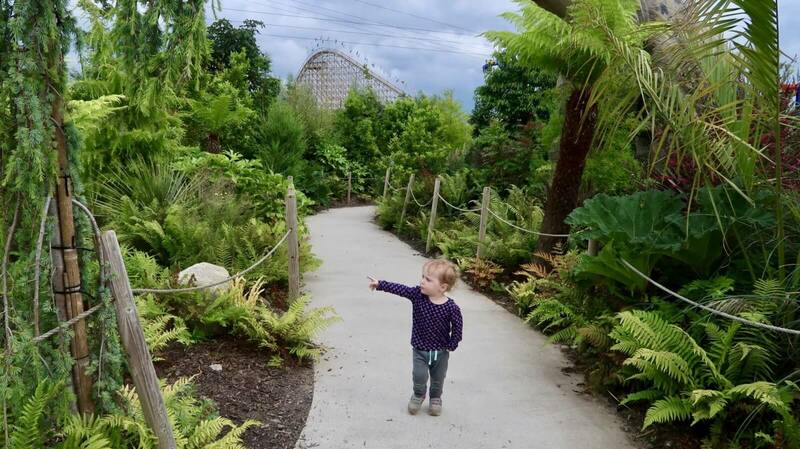 Lu’s favourite animals were the meerkats and tigers – who can blame her, they’re majestic creatures! Once we’d ‘done’ the zoo area we went for something to eat at the Lodge Restaurant. There are actually four different places for proper meals as well as three cafes for snacks so you’re spoilt for choice really. The food at The Lodge was perfect, I had a pasta dish and Matt went for the carvery. I must admit, as nice as mine was, I was really jealous of his! All the main meals are €12.50 and absolutely huge, we could hardly move after lunch. Luisa had the kids meal which would honestly feed a teenager, it was giant. A major perk of this was that I managed to steal some of her chips. 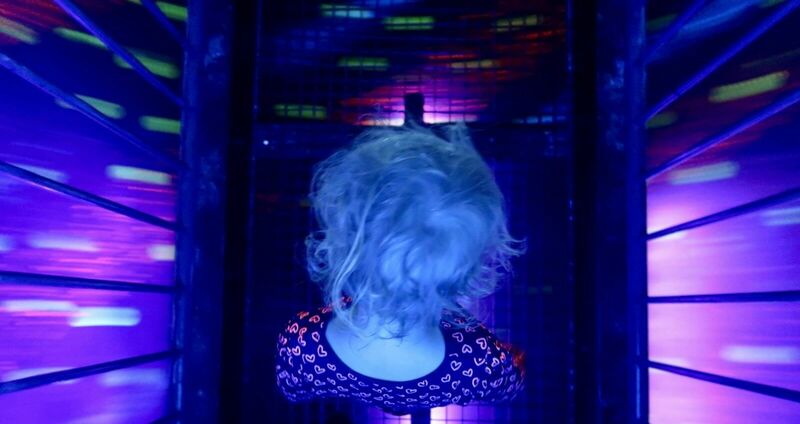 Within the theme park, there’s still quite a lot for little ones to do. 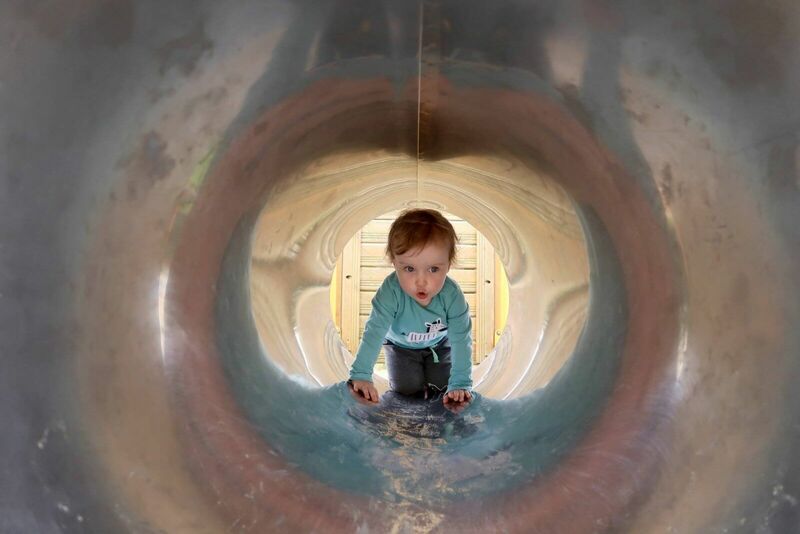 Luisa had a great time riding on the steam train, mining for gold, playing in the park and visiting a dinosaur exhibit.By far her favourite thing was the vortex tunnel, she’s such a daredevil, she begged Matt to take her through it over and over. By this point, Matt & were ready for some grown up fun. Tayto Park has a parent pass system so you can queue for roller coasters as a family and then each adult goes on separately, leaving the other at the front of the queue to mind the kids. This is ideal because the queue time was about 20 minutes and it just wouldn’t have been fair to expect Luisa to wait around twice. 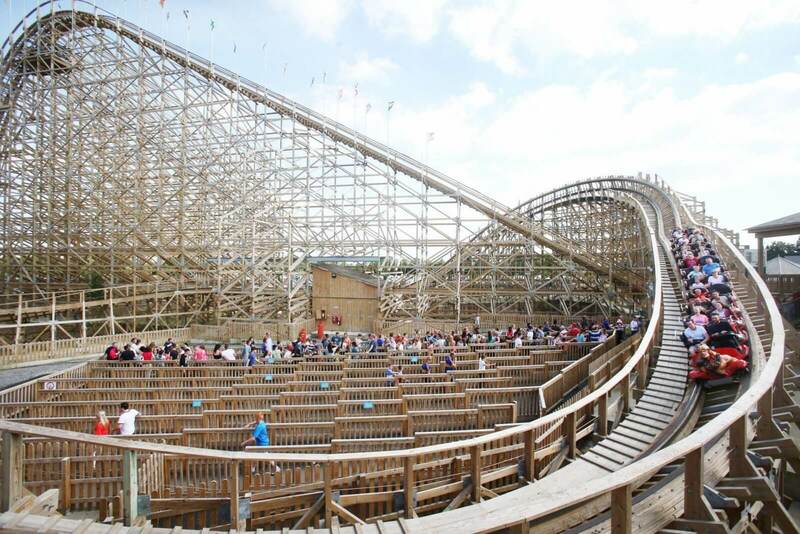 Anyway, we rode the exhilarating Cú Chulainn Coaster, Europes largest wooden roller coaster. To say it’s terrifying is an understatement but it’s absolutely worth it. 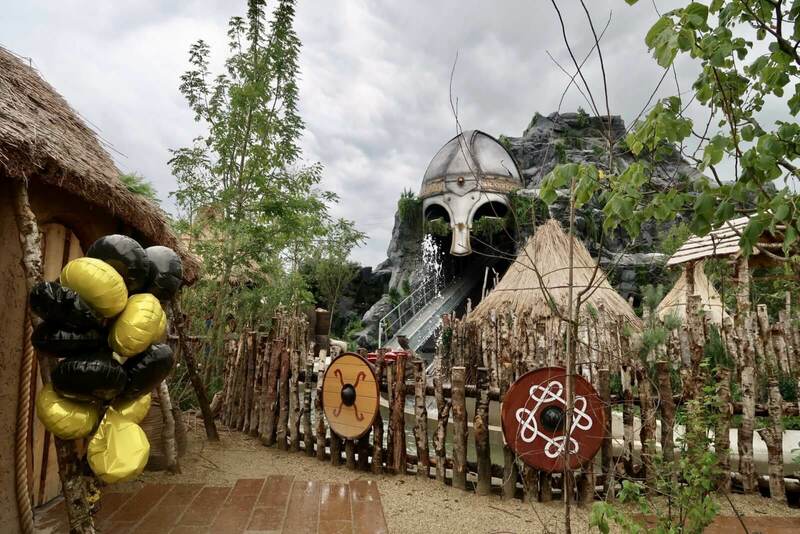 The latest attraction to be added to Tayto Park is The Viking Voyage, an amazing water based experience ride. It’s truly amazing, the attention to detail is evident from the moment you join the queue. Even though Lu couldn’t join in she still had fun and really loved meeting the Vikings. I only wish I’d bought my GoPro so I could show you it first hand. 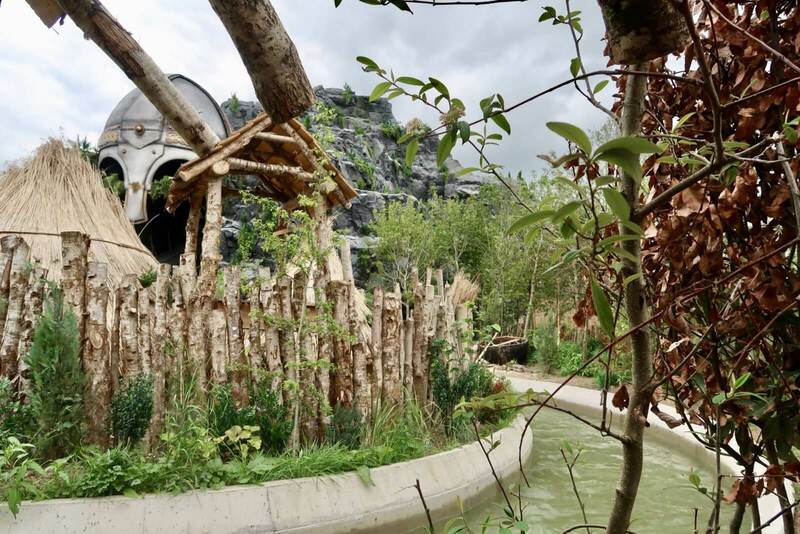 Tayto Park have used Viking experts from Sweden and theming contractors who have worked in major worldwide theme parks and film sets including Disneyland and Game of Thrones. The construction team used Viking building methods including wattle fencing, Viking ships, currachs and thatch built in the methods from 1000 years ago. Over 60,000 man hours when complete. 1.7 million litres of water will be used to fill it once complete and over 5000 bundles of straw. They are building one of only a couple of round towers to be constructed in Ireland in the last 900 years. Over 5000 trees will be planted to recreate the Irish landscape from 1000 years ago. A man-made mountain sits 60ft above the ride and the boats pass through it 3 times. I could go on all day about the things we enjoyed on our trip but I don’t want to spoil it for you. What I will say is if it’s a clear day don’t skip the zip wire and whatever the weather make sure you go to the circus. How do the tickets work? I’ve heard there’s an armband system. Park entry for anyone aged over 3 is €15* if you buy online, you can also go for a ticket & wristband combo for €28 which means you can visit all of the rides and attractions at no extra cost. If you’ve just paid for park entry you can buy tokens for the rides but I wouldn’t recommend that option unless you’re only planning to go on 2 or 3. Is there enough for under 5s to do? Definitely! Aside from the zoo, there are 20 rides/experiences suitable for the average five-year-old. 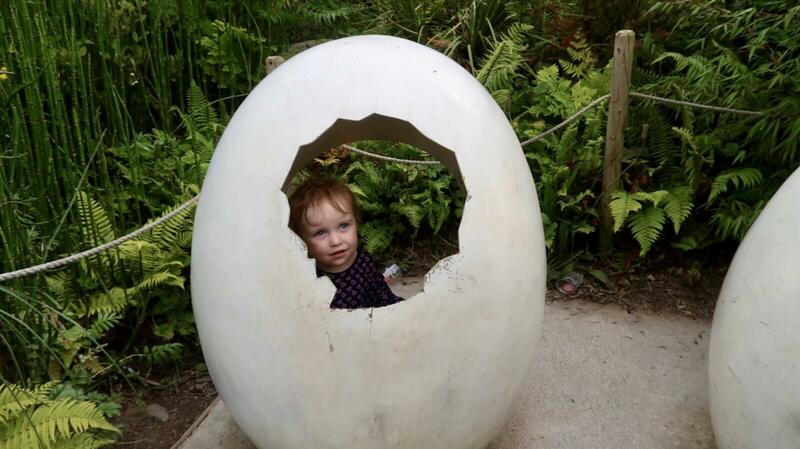 You can check on the site in advance to see what would suit your child as the attractions are height restricted. How long would you go for? Both times we went to Tayto Park we spent at least five hours there and you could easily spend more. I would say you need four hours to do it justice. Do you have any ideas on how to keep costs down? I’d definitely recommend bringing a picnic, there are lots of places you can sit as a group and enjoy your lunch. Then you can get something hot to warm up later. Also, keep an eye on the Tatyo Park Facebook page because they do post special offers from time to time. 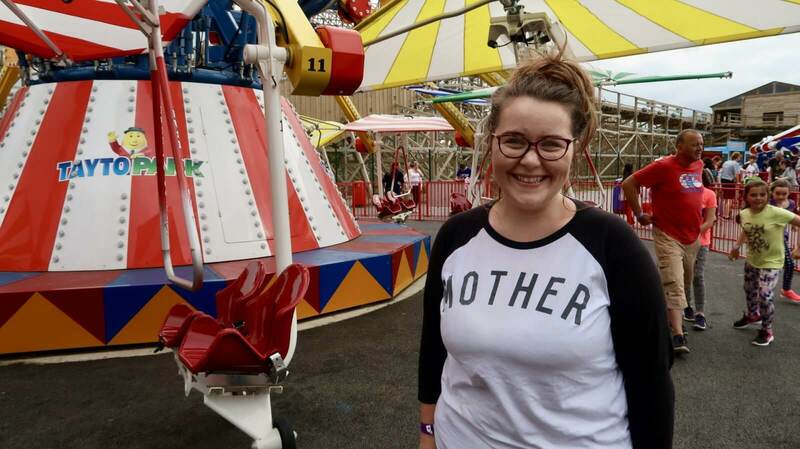 Whether you’re local to Tayto Park or considering travelling down from Northern Ireland I couldn’t recommend it more. The attractions are amazing, the staff are great, there’s free wifi and the toilets are really clean. 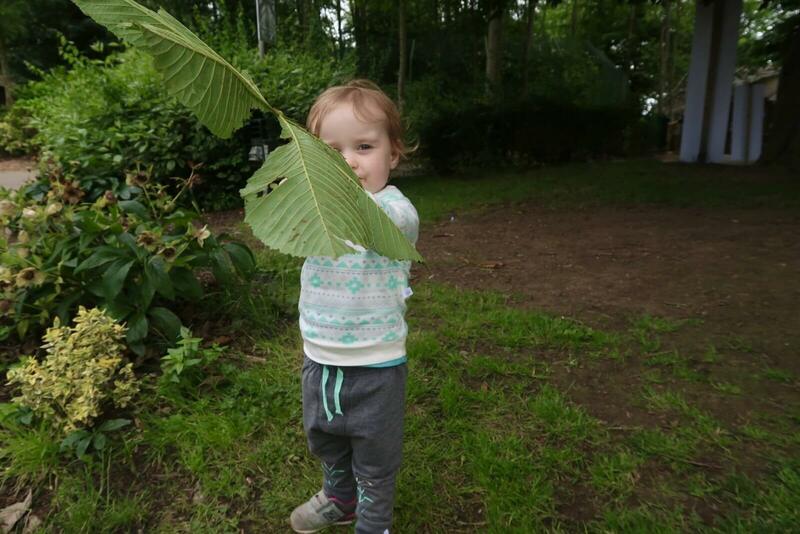 Luisa had an absolute blast so we’ll certainly be back again soon. Hi Hannah, it’s nice to know about Tayto Park. I’ve been talking to my husband about a trip to Ireland, just the two of us since we’ve been wanting to explore the beautiful countryside. 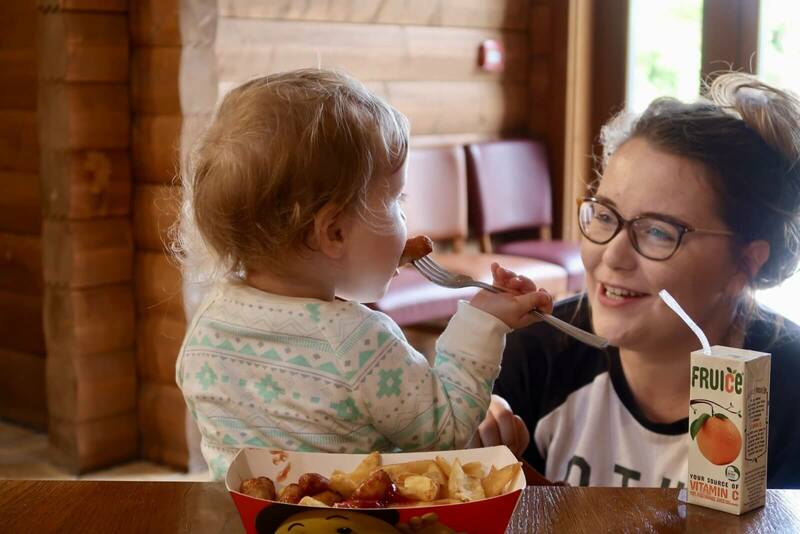 But things like Tayto park might mean we can bring the kids as well. What other suggestions do you have in Ireland that’s tot & child friendly?